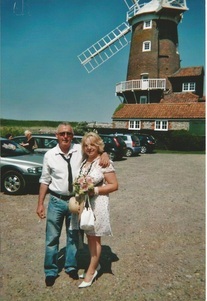 We married for the second time in Cley Windmill in North Norfolk. If you read the Redington stories, you’ll notice that chapter 5 is – The ghost of Windmill walk. I’m thrilled to tell you that a copy of my book is in the lounge in Cley Windmill.